Do you believe in Magic? We sure do! 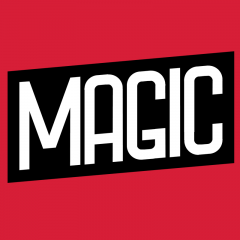 “It’s Magic Here” is the artistic nom de plume of Laurent Beuten. He picked this name because as a child he was all about magic tricks. Although he grew up in a small farming village in Flanders he’s got a style that’s ready to conquer the world. After dabbling in web design during his student years, he’s committed himself to his craft: creating Magic! At first he started out as signature designer on gaming forums but now he’s got a steady stream of big name customers who are begging for his work. Laurent lets himself be inspired by all sorts of things around him but he says his most important source of inspiration is the music he’s into at the time. That can be the heaviest of metal but also quirky pop songs. He’s always looking for a balance and a symmetry in his work. It’s Magic Here’s collection for CaseCompany is heavily inspired by heavy metal. It’s a juxtaposition between the darker elements in life and the glitzy colourful world of pop culture. Expect a lot of skulls, animals and mandalas. Check out his designs below and get lit!